Are you a spinner or felter? Abstract Fiber has wool, silk, yak, camel, and cashmere fiber blends for all your spinning and felting needs. We have natural and dyed fibers of the softest and finest types. 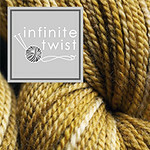 Start with our affordable grab bags or get the most spinable cashmere-silk available. Find it all at abstractfiber.com. Pits; everyone has them, and they can stink and make your clothes wet. But worse than the odor is the chemicals used on this delicate place. 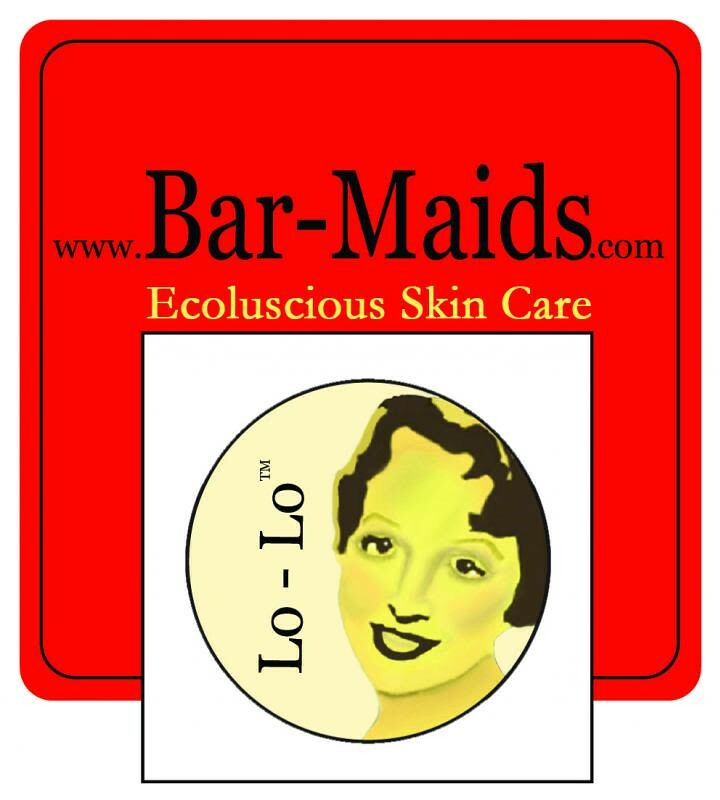 If you have been considering a natural deodorant, consider Bar-Maids Probiotic Deodorant. It is aluminum, paraben, and phthalate free and currently offered in 2 sizes and two scents. Give your pits a breather! You could come out smelling like a rose (geranium) – which, by the way, will be released in January. New from Jan Hamby, Gradient Angles is an amazingly versatile shawl design. Fun and simple to knit, this design shows off unique yarn to its fullest! Kits available in two versions and more than 20 one-of-a-kind colors. Brought to you by PLY Magazine and their annual spinning retreat, PLY Away, in Kansas City, MO. For 5 days in April, 15 of the best spinning spinning teachers in the world including Stephenie Gaustad, Maggie Casey, Galina Khmeleva, Natalie Redding, and Abby Franquemont, will be teaching classes that range from 3 days to half days. if you spin yarn at all, don’t miss this chance to improve your skills, surround yourself with fiber, and enjoy the company of 350 other spinners from around the world for nightly spin ins, a great marketplace, and much more. Registration opens Oct 29th for PLY Away, visit PLYaway.com. Gigi has been knitting Vanilla socks out of Regia, also Vanilla socks out of Opal, in the Vincent Van Gogh, Starry Night colorway. She started the second sock. 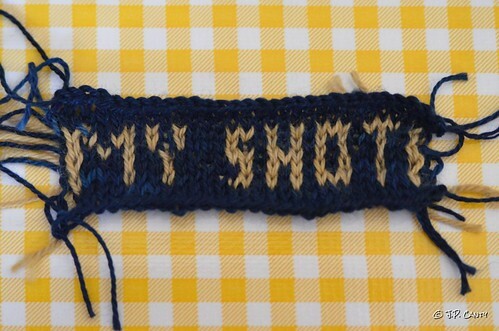 She also is working on a pair of socks out of Julianna’s Fibre.com, that she had started last year. It is a holiday self striping yarn, Under the Mistletoe, and quite festive. She put in waste yarn for the heel. Jasmin has been been binging on children's sweaters. She has been working beading and colorwork on the Gone Astray cardigan for Genevieve, and has finished the first set of beaded sheep. Gigi has strung the beads for the Bar Maids House Special, onto Oral B Superfloss, and is ready to get started on the Kismet socks. Jasmin has made progress on her Ashburn, in Lollipop Yarn, in Flibertigibbet Sock, for the #BigBadBergalong, and we have one kit to give as a prize. Gigi working on the January Skies, #BigBadBergalong, Black Trillium Fibres. She finished the second color of the gradient. Jasmin has also made progress on the Anna cardigan. Gigi has a raging case of startosis, pulled yarn for. two sweaters, she swatched for ribbi cardi, and washed the swatch. She also pulled yarn for a sweater out of Grown; Jasmin also says that Kate Oates has a knitalong for her Grown book . Gigi is working on her weekly preemie hat, while recording. Jasmin started her Hamilknit hat. and she also worked on the Poly chevron cowl, from the Black Trillium Fibres "Frank it up" kit. Jasmin wore her BostonJen hat, a bedtime hat, her striped Austin cowl, and an old comfy v-neck sweater. Rex wore the Puerpurium, the Baby Vertebrae, and the Garter Wrap sweater, Genevieve wore her Squirrel sweater, and the Elsa sweater. We will be attending Stitches West, sometime in February. The newest prize is a house special#2 kit from the bar maids. #projectsweaterchest. This is the sweater equivalent of #operationsockdrawer. We want to encourage you to knit yourself a chest full of sweaters. This contest also has been inspired by Susan B. Anderson and her fast forward video of her top 10 sweaters. We have lots of great prizes to give away. Feel free to double dip with any other KAL. #elizalong also applies to this contest, since Elizabeth Doherty's sweaters are polished and functional, and excellent for everyday wear. This week we answer a question out of the "What do you want to hear about?" thread on the Knitmore Girls forum about zippers. We mention the Periscope we did on shortening zippers. Jasmin mentions Zipperstop.com She also mentions the Zipper Nipper. On a bobble row, she missed a slip stitch, and ended up with two bobbles next to each other. Jasmin missed a blue stitch on the Gone Astray. Spin all the things! Jasmin loves spinning on the Device. Gigi had been working on giraffe hats from Fleece Hat Friends. She sewed spots on by machine. That turned out incredibly ugly, and she will have to fix that. Jasmin and Genevieve worked on a No-Sew Frozen Blanket from F&W media.